The secret to a free-to-play game is not volume. It is not about getting millions of users and relying on only a tiny percentage of that enormous volume to cover your costs. Free to play not only removes barriers by letting players play the game for free; it removes the upper limit on how much a committed fan spends by removing the purchase price or subscription. For an ironic take on this concept, see this cartoon on free-to-play from Penny Arcade. I know of one company with around a quarter of a million registered users that is grossing $3 million a year and another with fewer than 1.5 million MAUs that grosses $20 million. The power-law business model works. The power law simply expresses the idea that not all customers are equal. Some love your game, some will think it’s so-so. Some will have lots of time and no money, others will be vice versa. Some users are happy spending money for many reasons, ranging from convenience to social status. By designing your game to allow users to spend different amounts of money – by offering consumable items, aesthetic items, power-ups and the ability to exchange time for money – you unlock the ability to let your biggest fans spend a lot of money with you. * Whales spend a lot. Typically I forecast they spend an average of $20 per month. 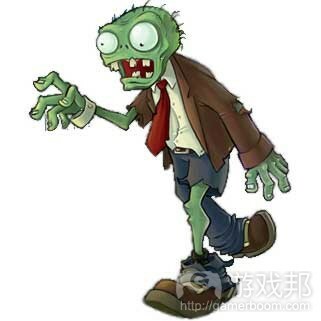 For more details on ARPPU, see the separate post on this topic – ARPPU in freemium games. Note that this is an approximation of the shape of the power law. You can change the percentages and change the ARPPUs as you like. 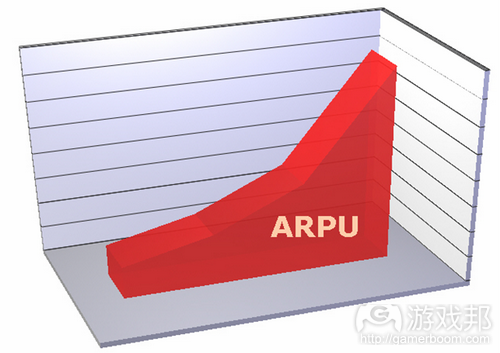 Just be aware that changing the percentages and ARPPU changes the curve that you are predicting. The diagram below illustrates how the spreadsheet approximates the curve. It is pretty hard to get accurate, public benchmarks for how to separate the minnows from the dolphins and the whales. Many companies talk about their ARPPU in round terms. Bigpoint, for example, says that its ARPPU is larger than that of World of Warcraft. That hides a massive concentration amongst the whales. We’ll keep digging to find publicly available splits of users into whales, dolphins and minnows. However, since it is an approximation to the power law curve, that may take us a long time.